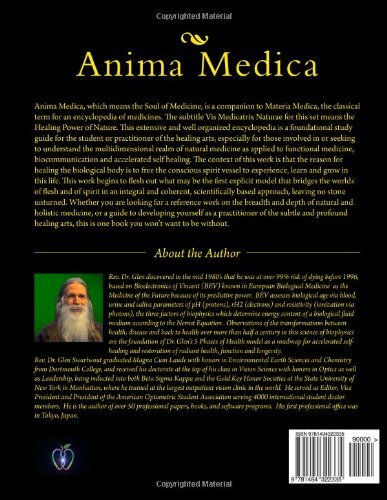 Anima Medica means the soul of medicine. 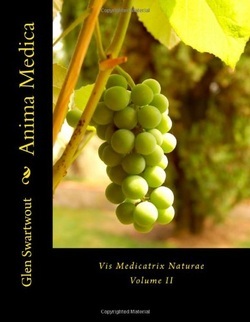 This is a companion volume to Dr. Glen Swartwout's Materia Medica, a compendium of the healing substances of medicine. Both works are subtitled Vis Medicatrix Naturae, which means the healing power of nature. The structure of this two volume encyclopedia makes explicit the natural division of body and spirit that has long plagued Western science, thought, culture and medicine. At the same time, both works bring Dr. Swartwout's synthesis and healing vision to mend that division. Major topics covered include the Spirit Minerals, Flower Essences, Homeopathy, Color Therapy, Infrared Therapy, and Electromagnetic Frequencies. Dr. Glen was interviewed by Jenningswire.com just prior to the new book release. $49.97 at your local bookstore!